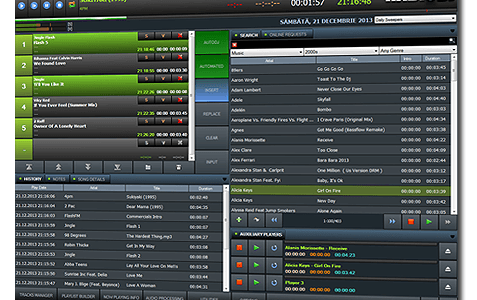 A list of a few Radio Broadcasting Software that can be use to create your Internet Radio Station and are compatible with shoutcast and icecast systems. If you know about any other software compatible with shoutcast and icecast please let us know Contact Us. Winamp is developed by Nullsoft, the same people who develop SHOUTcast itself. We recommends Winamp if you are new to internet net radio streaming. Demo: Yes, noise is overlaid on all broadcasts longer than 10 minutes. Streams a mix audio from your microphone and optionally another media player like iTunes. Q: Shoutcast/Icecast streaming are available in RadioDJ? Q: Shoutcast/Icecast streaming are available in PlayIt Live? Q: Shoutcast/Icecast streaming are available in DirEttore?